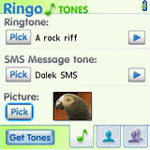 To celebrate the release of the Treo 800w (see my review) this month, we’ve created a 20% off coupon that you can use to purchase one or more of this month’s Top 10 bestselling applications for your smartphone listed below or any of the hundreds of titles in our Treo Software Store and Centro Software Store. On this occasion we have five new terrific titles entering the Top 10 list with Solitaire Mania (#4), TouchLauncher (#5), Weather (#7), AFK WordSearch (#8) and the latest version of Zagat To Go (#10). This offer is valid until August 31st – simply enter the coupon code BESTSELLERS in your cart [please note that this coupon is not valid for use in the Treo Accessories Store or Centro Accessories Store]. 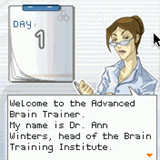 A high-quality collection of 12 world''s most popular solitaire card games with excellent graphics and animation. 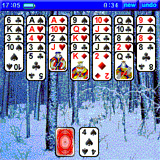 All your favorite solitaire games are implemented: Klondike, FreeCell, Spider, Yukon, Pyramid, Towers, Arizona, Golf, Canfield, Forty Thieves, Westcliff and Block Ten. 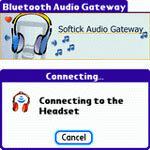 The games offer selectable background and card backs, undo, replay, save game and much more. 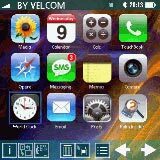 TouchLauncher is a new launcher for Palm OS 5. 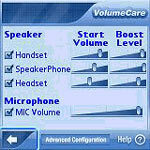 It sports a beautiful user interface and combines basic launcher features with new ideas. TouchLauncher can be used to run applications on your device with your fingers, as well as perform other basic tasks with them. 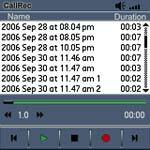 Make your own weather station on your Treo or Centro now! Weather offers current condition for the entire world (and for specific regions) updates every 15 minutes. Forecast information updates every 6 hours. Weather probably offers the very best and rich graphics for this type of software. The auto update mode helps to keep the weather data timely. Additionally, "Weather-guard" will improve Palm's standard KeyGuard and give the access to the current condition or 7-day forecast in an easy way. 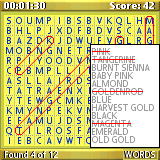 AFK Wordsearch is a relatively simple game which has been developed for your searching pleasure. Find the words hidden within the puzzle board to gain points and then challenge your friends to beat your top score. AFK Wordsearch features over 30 word categories (animals, computer, games, sports, movies, etc) as well as an unlimited number of generated word puzzles . Find words horizontally, vertically, diagonally and even backwards (skill based). The game offers multiple skill levels and board sizes as well as various color schemes. 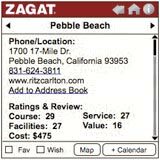 ZAGAT TO GO was already the most comprehensive restaurant and entertainment guide for your Palm Powered device. Now, it's even more useful with Lifestyle Guides for Movies, Golf, and NYC Shopping. With regular, automated content updates offering the freshest reviews, you'll always be "in the know" when you're "on the go."